Shot placement, and therefore practice, is key when using a pocket pistol for self-defense. 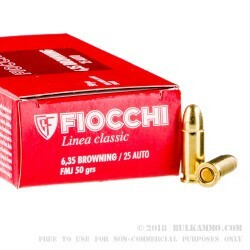 This load from Fiocchi in .25 ACP fires a 50 grain bullet at 760 feet per second and will help you get range time at an affordable price. 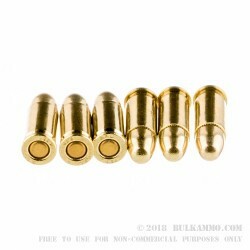 Each cartridge uses Boxer-primed reloadable brass cases. Fiocchi Munizioni is a family-owned ammunition manufacturer based in Lecco, Italy with a US manufacturing facility in Ozark, Missouri. 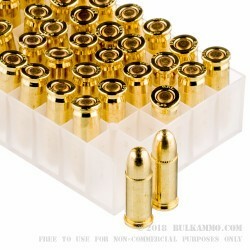 The company produces a wide variety of ammunition under the Shooting Dynamics range brand as well as the Exacta match grade brand. 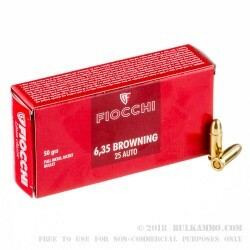 Fiocchi products generally enjoy a reputation for high quality at an average price, making them a great value for any serious shooter. The company holds NATO and ISO certifications and serves as a supplier for several NATO militaries.